It’s not often you’ll hear me say that I’m looking forward to talking about insurance, but I was actually eager to talk to today’s guest as he is not only a vacation rental owner himself, but is also an expert on vacation rental insurance. Phil Schofield is head of inbound marketing at Schofields insurance, specialist insurers of holiday homes (vacation rentals) in UK/Europe. They only cover UK residents, however insurance risks are universal so the tips that Phil shares in the podcast may encourage you to review your insurance cover to ensure you are adequately protected. Given that only 43% of us read insurance terms and conditions, it's likely you are unaware of limitations in your policy small print. As an owner who has rented six properties over the past 10 years I was surprised to find those places may not be covered for some of the incidents that could happen. For example, we are not covered for non-forced entry. Guests may go out and leave a door unlocked or a key in a visible place. If a break-in took place there we may not be able to claim on the policy. 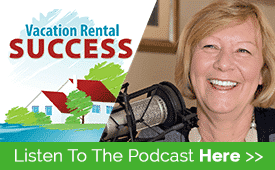 If you have a vacaction home and rent it out, you really need to listen to this episode! Phil is also a holiday rental owner with 10 years experience. 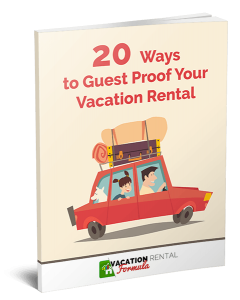 An active social media user, he blogs and tweets marketing tips and advice on running a successful vacation rental business. Why having an alarm system might leave you uninsured. Hi Richard – I think we, like most agencies, act as the middleman between guests and owners and the contractual agreements reflect that. We ensure our owners carry sufficient insurance including substantial public liability to cover the rental aspect of their ownership, and hold copies of these policies on our records. Our company insurance covers errors and omissions and general public liability. I’d be interested to hear what other agencies have in the way of coverage. We’ve been advised that a CGL policy is sufficient as well. Have not heard of anyone getting hurt as the middle(wo)man from lack of coverage, but figure good to put feelers out there – we all should know if a precedence were to be set (if not where we would like or expect it to be). Tnx.